Tomhawk Red Wood Grain Tanto | BUDK.com - Knives & Swords At The Lowest Prices! The tanto was a weapon that every samurai would have with him on the battlefield. The tanto was most useful and necessary when combat was up close and personal, with no room to swing swords and what was needed was a stabbing knife. 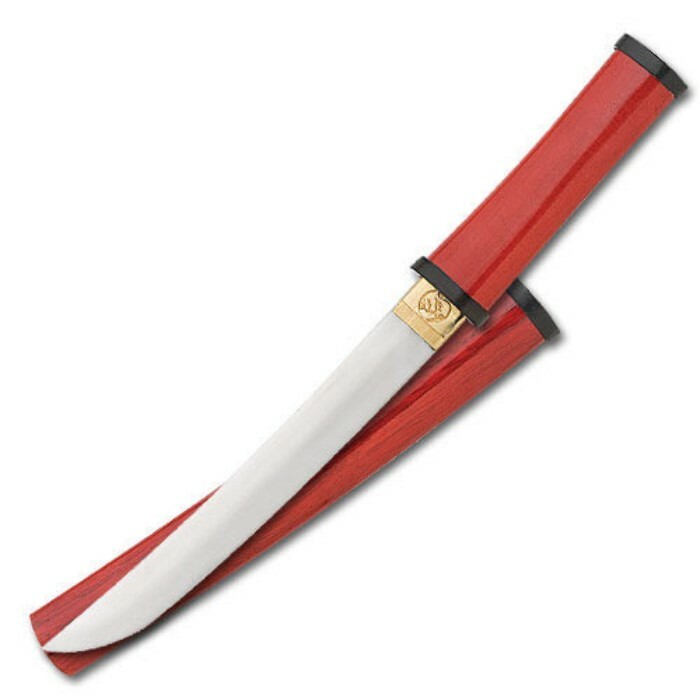 This classic offering is 14 1/2" overall, and features a 9 1/8" mirror polished stainless steel blade with a red wood grain handle and including a matching sheath. A great item for your personal collection! Tomahawk, XL1076.